Rebecca Brown is preparing to lead the Roadrunners as the women’s volleyball team’s new head coach. Cherry Hill High School East class of 2008 graduate Rebecca Brown made quite an impression on the volleyball court as a player. At Cherry Hill East, Brown was part of the Cougars’ state championship winning girls’ volleyball team in 2005 and also later served as team captain. In college at Rutgers-Camden, she helped lead the Scarlet Raptors to the New Jersey Athletic Conference championship and a program best 24–8 record as a senior. She ranks among the women’s volleyball program’s all-time leaders in digs, kills and service aces. Now, Brown is looking to be a part of another winning volleyball program. Only this time, she’s doing it from the sidelines. Brown has been named the new women’s volleyball coach at Rowan College at Gloucester County, taking over a fairly new program and hoping to build it from the ground up. 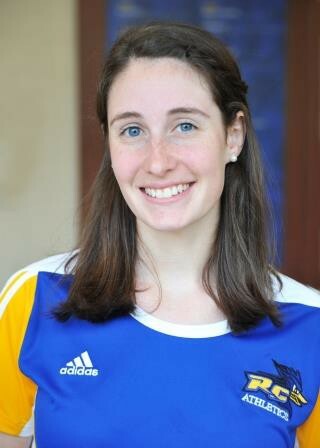 The RCGC Roadrunners’ women’s volleyball team completed its first season last autumn. Brown played volleyball for more than a decade starting in fourth grade at Holy Rosary Regional School. She helped Cherry Hill East win a combined 60 matches from 2004–2007. Brown was also an all-South Jersey player in both 2006 and 2007. “They just had such an awesome program,” Brown said. Brown took a couple years off from volleyball when she attended Camden County College, a school without a women’s volleyball program at the time. Brown began coaching during those years. Brown began coaching various age groups with South Jersey Volleyball Club. After two years at Camden County, Brown transferred to Rutgers-Camden and walked on to the volleyball team there. Brown played for the Scarlet Raptors from 2010 to 2012 and was named the team’s most valuable player during their program-best 2012 season. After graduating from Rutgers-Camden in spring 2013, Brown decided to stay with the program as an assistant coach. Brown was an assistant coach for two years and then served as an assistant coach for both the boys and girls volleyball teams at Paul VI High School in 2015. However, Brown’s work with South Jersey Volleyball Club was what helped land her an interview at Rowan College at Gloucester County. Brown said the opportunity was a surprise, as she had no idea the school was even looking for a coach. But once she made the drive down to the school’s campus in Sewell, she was sold. Brown is now trying to get a team together and ready to take the court for the Roadrunners’ first game on Aug. 30. The team only has one player returning from last season, meaning Brown is starting practically from scratch. Despite the challenges awaiting in her first season, Brown said she relishes the opportunity to build her own program. She’s looking not only at this season, but the seasons ahead.